Have you received your little tea treasure box of this month's tea though your front door yet? Perhaps you've already sampled a few cups? Black Tea: This Irish Breakfast Tea is our Suki Tea signature blend, an everyday cuppa, a Northern Irish staple! We've blended two of the best quality whole leaf - 90% Assam & 10% East African for a Malty and full flavoured cup. Have you seen our brand new Belfast Brew tea caddies? The perfect way to store your tea and keep it fresh! Did you know? The machines that we use to roll the Belfast Brew were made in Belfast in the 1950's by Sirocco works, a leading manufacturer of tea equipment. Truly authentic Belfast tea! Brewing Instructions: Use freshly drawn boiled water. 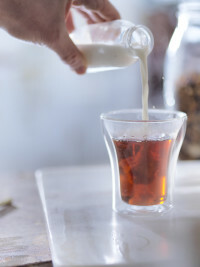 Infuse one heaped teaspoon per cup and brew for 2-5 minutes…add a splash of milk, enjoy! 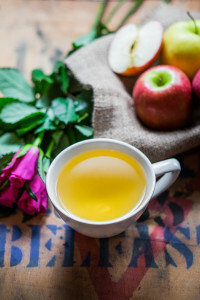 Fruit Infusion: This is a very special tea to us, it was awarded 3 stars in the Great Taste Awards and listed in the 'top 50 foods in the UK'. A little bag of hidden gems. The baby rose buds and papaya chunks could almost be mistaken for jewels. A layered flavour of sweet apple and papaya, followed by a subtle rose hint and finally fresh mint. Visually stunning, caffeine free and a proper treat to drink! You can now buy 'Apple Loves Mint' in one of our beautiful tea caddies... A fab Valentine's gift idea for all you romantics out there! Brewing Instructions: Use freshly drawn boiled water. Infuse one heaped teaspoon per cup and brew for a good 4/5mins to allow the flavours out. 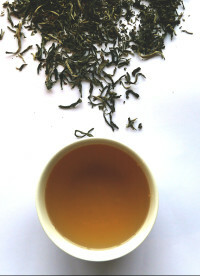 White Tea: We call it a white tea because of the downy white tips it produces although technically it is a green tea. There is nothing about this tea that isn’t beautiful, special and rare. Mao feng is a term in tea manufacture denoting the picking of a bud and two leaves of equal length. Mao Feng tea leaves have a broad, curved and flat shape. It is considered one of the choicest shapes of tea leaf. 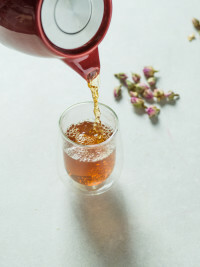 Brewing Instructions: Infuse one heaped teaspoon per cup, use freshly drawn boiled water, allow to cool to 70-80 degrees before brewing for 2-5 minutes. Black Tea: Turkish Delight is indulgent, sumptuous and dangerously addictive, especially in tea form! Using cocoa as an indulgent starting point, adding black tea, rose petals & natural rose oil - a stunning tea and a nod to the traditional chocolatey Turkish delight that we know & love today. Chocolate and Rose buds? Of course this was always going to be February's tea of the month! Did you enjoy this one? You can pick it up for half price throughout the month of February! Brewing Instructions: Use freshly drawn boiled water. Infuse one heaped teaspoon per cup and brew for 2-5 minutes…Some of us like it with milk, others don't, add milk for a creamy, chocolatey cuppa! We really hope that you enjoy February's tea selection and are looking forward to the next selection in our March box. It's going to be a good one.... A brand new tea!!! 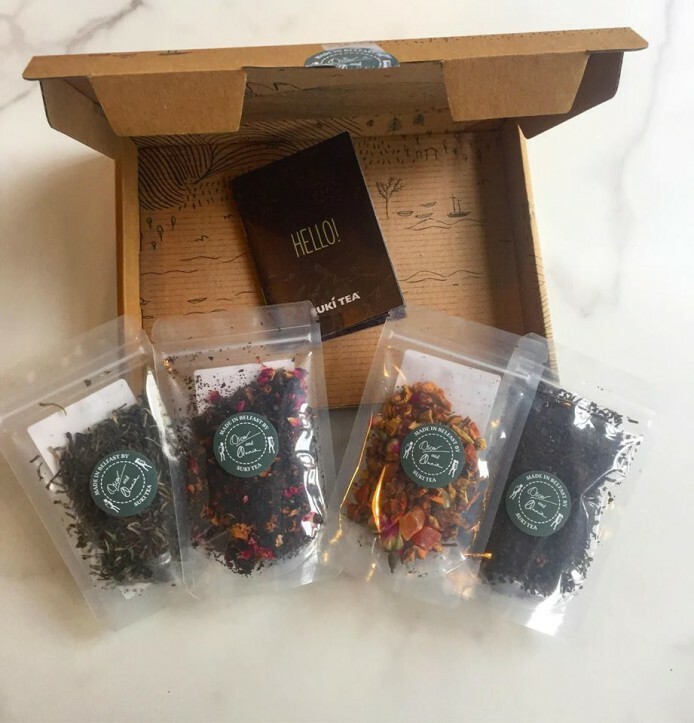 If reading this has made you curious about discovering a world of our teas, but you don’t yet subscribe to a monthly tea selection, why not give it a go? We ship worldwide, it's easy to set up and there's not hidden costs. You can find out all you need to know here.